Today, the father of the Handwara minor girl submitted an application to the Judicial Magistrate, Handwara for registering FIR against the molestation by the army personnel of 21 RR, the police misconduct, illegal detention, intimidation and against the recording & circulation of the video of the minor girl without the consent of her parents. After hearing the arguments of the JKCCS legal team the Judicial Magistrate issued the notice to SHO Handwara to submit the status report of the case by 15 June. 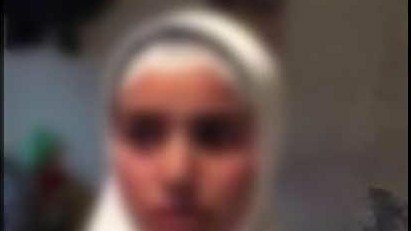 Earlier on 16 May 2016, the family of the Handwara minor girl sent an application to the Special Investigation Team (SIT) and the SHO Handwara for registering two separate FIRs; one FIR against the army personnel of 21 RR who molested the minor girl outside the public toilet at Handwara market. Another FIR against the S. P. Handwara, Ghulam Jeelani Wani and others who recorded and circulated the video statement of the minor girl without the consent of her parents and for the misconduct, intimidation and the illegal police custody of the Handwara minor girl. For more than 20 days the Police have not filed the FIR, therefore the family of the Handwara minor girl decided to petition the Handwara district court as per the established procedures under section 156(3) Cr. P.C. As experienced so far, the police are making every effort to scuttle seeking justice for the Handwara minor girl. They have also used rumours as a medium for tarnishing the credibility of the girl and her family. Despite all the intimidation the family is undeterred and will continue to strive to ensure that truth about this case is not buried by the oppressive State machinery. Do you really follow the story and truth or you just post what ever you feel right! This girl was used by Islamist forces who dont want to live with INDIAN democracy , and wan to live with pakistan based on the Islamic majority by any violent means , do you know the brutality on minority of Kashmiri pandits in 1990 , research on it!! Check this out to follow , half truth is worst then lie. Mostly in conflict Zone , its not football match that what you see is reality you have to go back to the core of problem. Thanks for your points. I have followed the story and what did not help was issues over access to the girl and legal representation during interviews. Human rights campaigners raised a number of concerns. A very strange democracy that occupies, crushes freedom of speech, where Kashmiris are disappeared, tortured, raped, blinded and killed. I visited Kashmir shortly after Kunan Poshpora and there is still no justice! mother of all problem is separatism , why they throw stones, pick up guns ! “You dont want security forces to reply if they start “! 500K forces that is in 25% of state ask rationally why its required other part of state such as Ladkah which is buddhist majority Jammy which is Hindu majority , why there is no problem over there ?! Can you still fix your equation here?…. Al Jazeera has its own biases but may be some are living and I agree because its their home land some prefer to live in fear but still they cant leave but ask to 250K why the left , can post 100 reference from genuine forums , By the way i am Indian from other state ,we have helped ppl who came from there to get stable. The stories were as brutal as “Islamist pakistan back militant raped and cut the women into pieces ” They have article 370 , why ? and why they want to be separate based on religion …. I agree Kunan poshpora was wrong culprit should be punished, but if everywhere majority started crushing minority based on religion and they want their separate home land just on the name of religion , did you even rationalize what would happen to world?I can bet anything you say if they still leave their jiahdism based on religion and allow normalcy to return slowly army will start decreasing.in Past lot of govt had tried this solution as soon as Separatist see their upper hand getting stronger they started getting brutal again bcs core of problem is ISLAM AS MAJORITY and they think INDIA is Hindu state brain washed by failed Islamist state of Pakistan .which you and me both know its not India has ppl from every corner and color and religion. your silence answers all…..or you just came to know other side side of story.